The 2015 Stocking Challenge is done. The stockings were stuffed with goodies yesterday and delivered this afternoon. CASA will be distributing them to children at their party tomorrow. The ladies who received them today were very, very appreciative and said the children will be thrilled. Thank you very much to all who brought in a stocking. 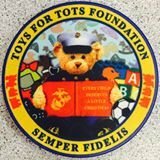 The Toys for Tots bin is almost full. Thank you for your generous donations. You still have until next Tuesday, December 15, to bring in a new toy to help make Christmas joyful for children in Sacramento. All of our Christmas fabrics are now 35% off!!!! This includes two flannel collections, so come in and make your selections soon. Sue Spargo's Bird Dance (full), Sat, Dec 12, 1:00 - 4:00 p.m.
Have a wonderful holiday season with your family and friends!